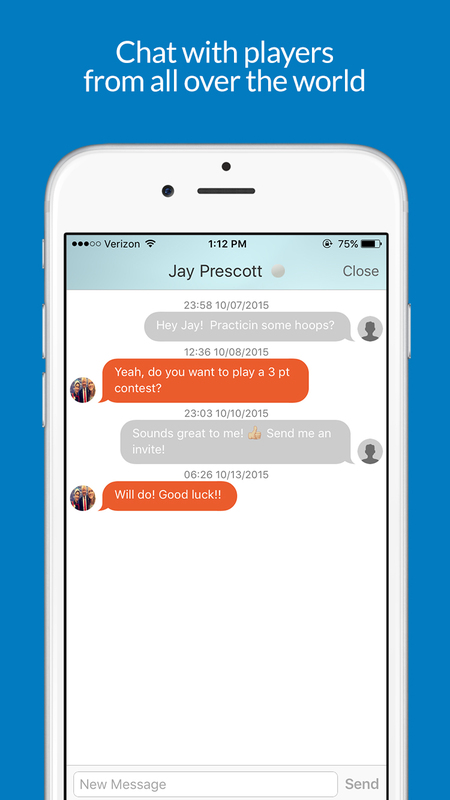 FeaturesPLAY LIVE 3-PT, FREE THROW, DUNK AND TRICK SHOT COMPETITIONS! 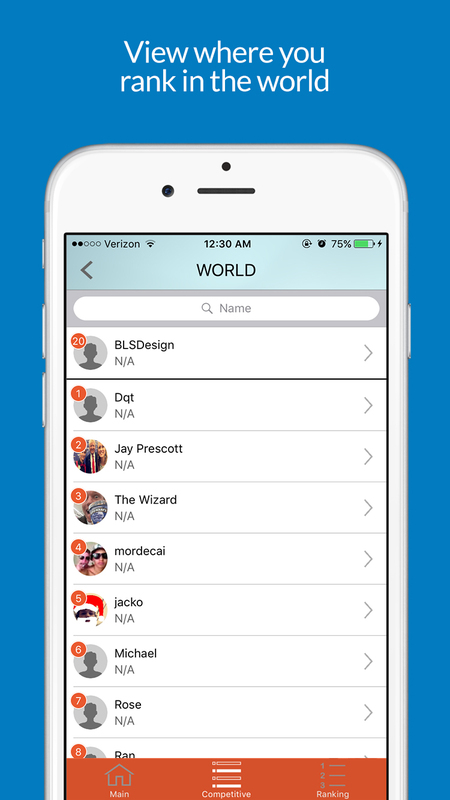 Find out how good of shooter you are compared to others. 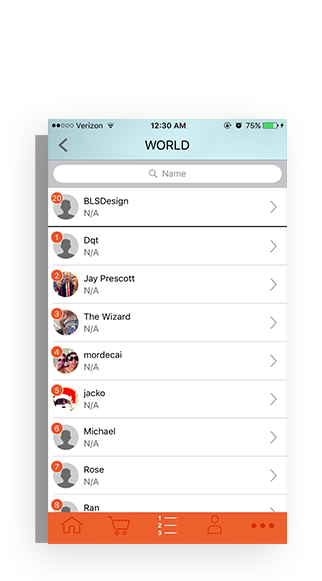 Get Buckets Live will track your shooting percentage and W-L record to rank you among all other players in certain categories (world, country, state, city, etc.). 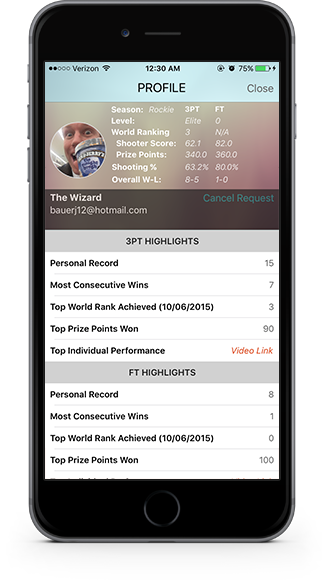 Gain exposure by having Get Buckets Live send your profile, along with your shooting data and top video performance to college coaches. 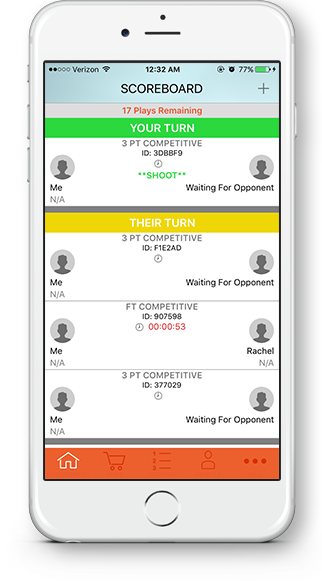 Similar to the flighting system in golf, Get Buckets Live will group players each day according to skill level and the best performing players in each group will win prize points that can be redeemed for free games and other fun stuff! Prize points can also be won if you have the top dunk or trick shot of the day! 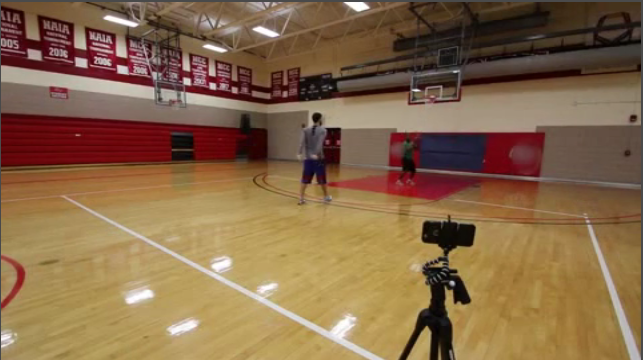 Players will have an opportunity to shoot against a professional basketball player! How many times can you beat the best? Use the Get Buckets Live fundraising platform to raise money for your athletic department or organization. Get Buckets Live provides a unique and simple fundraising experience that will allow you to raise funds for a special project, need, or cause, and do it in a new and exciting way! 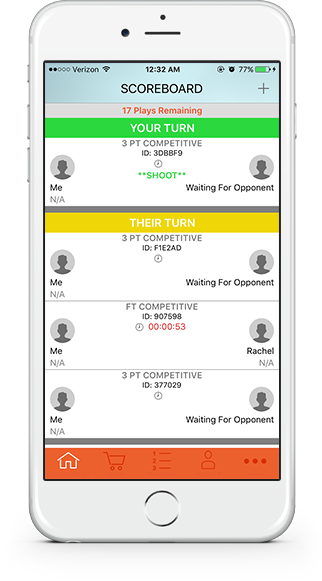 Contact Get Buckets Live today at contactus@getbucketslive.com for more information on how to get started! ScreenshotsBe a part of the basketball community! (only “competitive” will go toward your rankings). 2. A player will have 90 seconds to shoot 10 free throws/3-pointers. 3. If a player makes all 10 shots, keep shooting until a shot is missed or the 90 seconds has expired. 4. 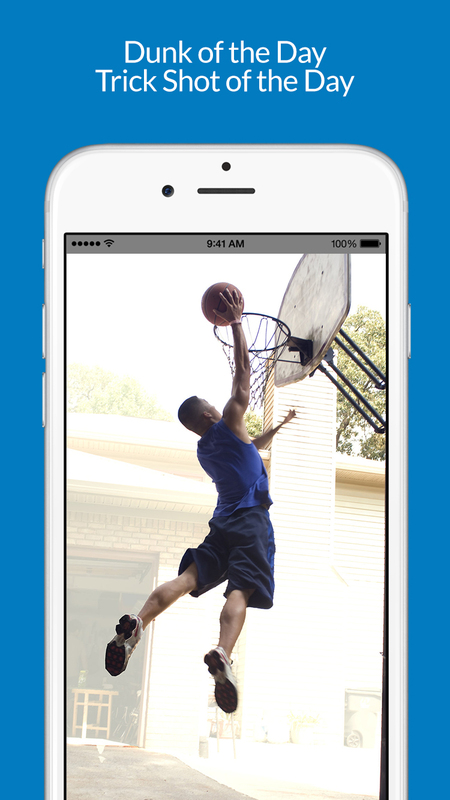 Using the app, video record your shots ensuring the basketball is in frame from the release of the shot until the ball enters the hoop. Also, the player’s feet must be shown at the time of the release. 5. Submit the number of shots made. 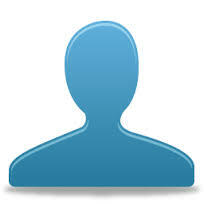 6. Review your competitor’s video and confirm score. 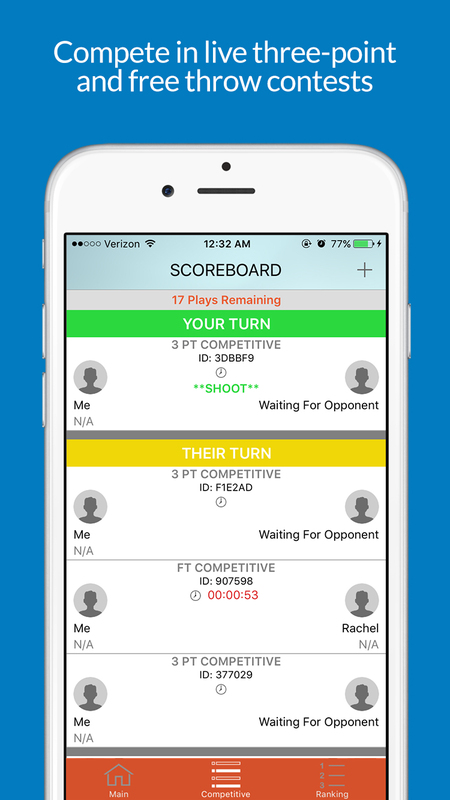 If score is inaccurate or you feel the video has been manipulated to improve the opponent’s score, you may protest the game. Get Buckets Live will determine the outcome. A score of 0 will be issued to whoever loses the protest. Your browser does not support the video tag. Safari for Windows only supports HTML 5 video if QuickTime Player is also installed. Enjoy playing as much as you can over the next 30 days. 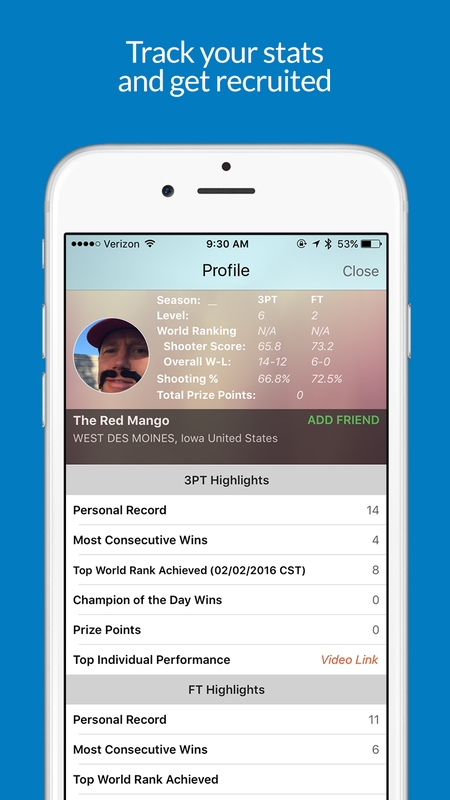 Enjoy the experience of playing the app ad-free. Extra Plays will be added to Plays Remaining. Invite or share game to get free. Unlimited Plays for a month.